The Fresco Stainless Steel Extendable Mirror from Zack, a beautifully made mirror that magnifies, makes applying make-up or shaving a straight forward affair. Designed by and made exclusively for Zack of Germany, from high grade 18/10 stainless steel. As with all Zack products, the build quality of this stainless steel extendable mirror is of the highest order, providing a lifetime of use. 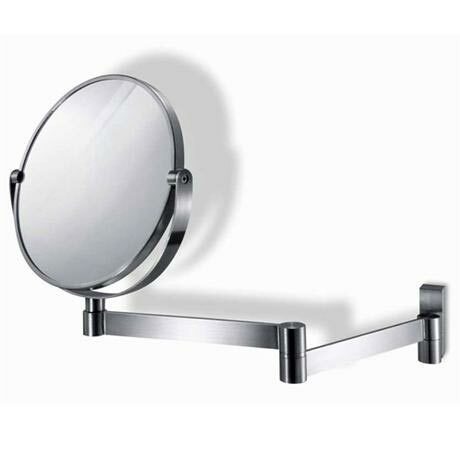 Magnifying and Extendable Wall Mirror from the Fresco range. Q. Hi is the mirror glass or plastic? Hi, all the mirrors in the Zack range are glass. Thanks!